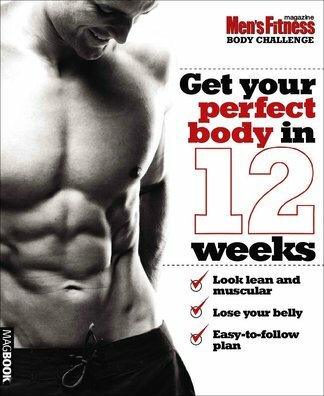 Get your perfect body in 12 weeks! Devised by the experts of Men's Fitness magazine, this fully illustrated publication is designed to help men achieve their perfect body through sustainable and practical routines. # Add lean muscle and burn fat! # Develop big arms and broad shoulders! # Work on getting killer abs! # See fast, lasting results! The core guide for any man looking to reach and maintain their physical peak, this guide will help you develop the body you crave. Guiding you through all areas of training and nutrition, you'll get the best possible results from your workout - regardless of your level of experience, this guide will work for you! Be the first person to tell us what you think about Men&apos;s Fitness Body Challenge and you'll save $5 on your next purchase! https://www.isubscribe.co.nz/mens-fitness-body-challenge-digital-subscription.cfm 15034 Men&apos;s Fitness Body Challenge https://www.isubscribe.co.nz/images/covers/nz/541/15034/square/MensFitnessBodyChallenge191610048.jpg NZD InStock /Digital/Health & Fitness/Running Get your perfect body in 12 weeks!